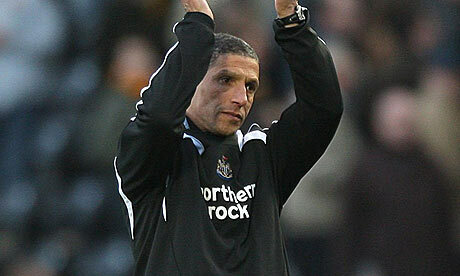 I think it’s fair to say that just after relegation, we wanted anybody but Chris Hughton as manager of Newcastle United. However, Shearer didn’t arrive, Kinnear’s comeback rumours were slashed at the but by NUFC themselves and David O’Leary’s move broke down. However now, Hughton has done a very good job and the majority of the players now want Chris as permanent manager. Lying top of the Coca Cola Chamoionship table and the players actually are playing for the shirt they wear, even the banana strip. This is what we want from now on on Tyneside. From what we understand here, is that Chris will be staying until January at least and that’s not a problem really, but there isn’t too much mentioned about sale of the club or where it is, which can be quiet worrying. We’re being optimistic when we say Mike is still in deep discussions with a potential buyer but if you’re to believe reports, none of the interested parties have showed proof of funds. Meaning, there is a very strong possibility that Mike Ashley could well be in charge of Newcastle until May and whether he’ll provide funds for new players is another matter. Good man Doocey, congratulations on your blog site. Yeah it`s unbelievable, the old "who`s on first" baseball routine would be appropriate for the way this club is being (or not) run. With a decent squad (2nd tier standard) but thin in numbers, it`s only a matter of time before we will be playing a teamfull of youngsters. It`s in everyone`s interest to ensure this club is promoted, therefor our owner should be looking to strengthen the side , not sell players. He made that mistake last season, a bad gamble, which he could repeat again this year.